We have been asked by a selection of local celebrities to supply balloons for their special occasions, please see below. 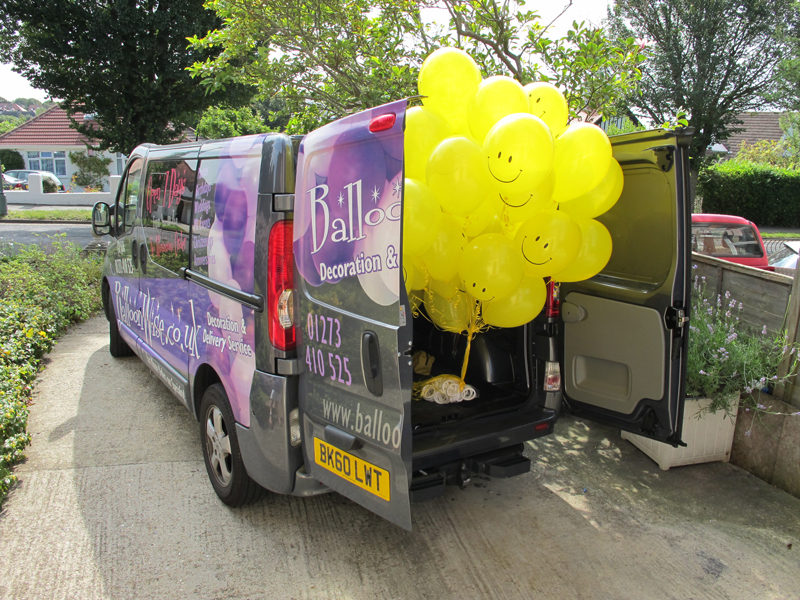 We were lucky enough to be called on by Kylie Minogue to supply and deliver some helium balloons for her friend's birthday whilst she was staying in Brighton. She chose a bunch of 20 foils, plain hearts and 'I Love You' messages. We were lucky enough to be called on by FatBoy Slim and Zoe Ball, to supply and deliver some helium balloons for Norman's birthday and they were thrilled with the displays ! 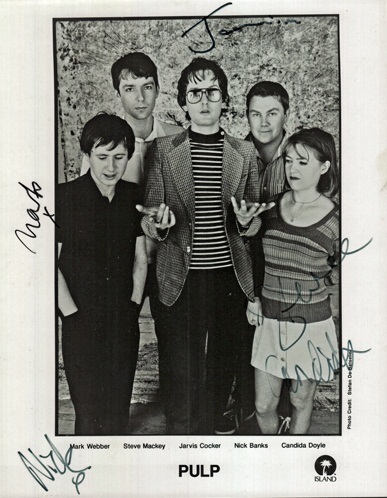 We did two 500 black balloon net drops for the band Pulp in Brighton and then Bournemouth. The 500 balloons dropped to the crowd exactly as the first set finished. The band were thrilled with the result in Brighton, so booked us for Bournemouth ! 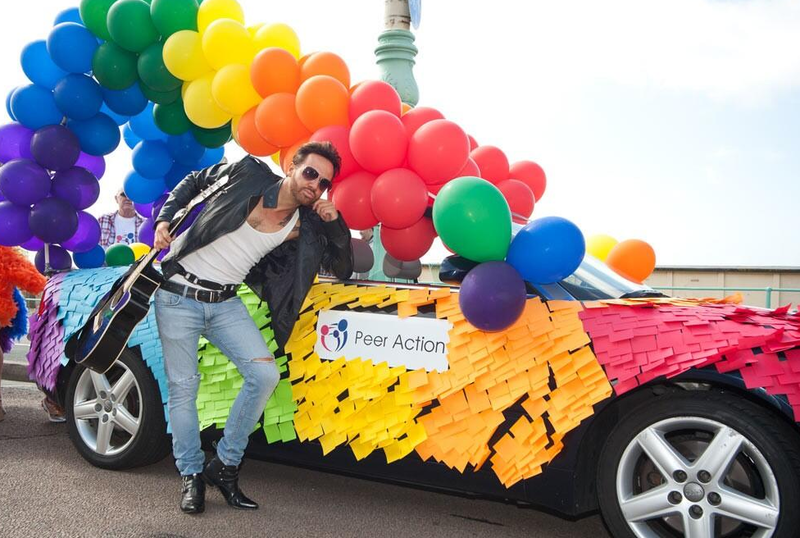 We supplied balloons for Peer Action to drape across the car, as well as their own rainbow coloured post it notes. Chris Steed from Gogglebox was the George Micheal look alike and looked amazing. 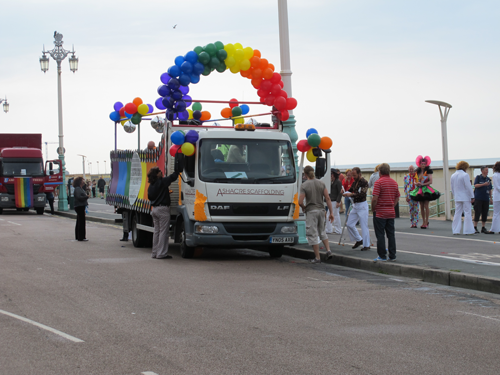 The car looked fabulous too! 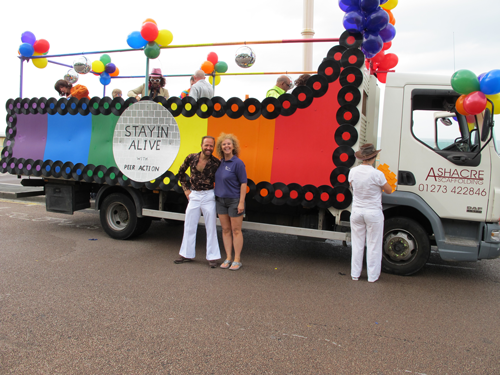 This year we supplied a vinyl banner for the float and the theme was Staying Alive , Chris was sporting a John Travolta white suit for the day ! As you can see in the pictures below.